2018 Mercedes-Benz Metris Cargo RWD 7G-TRONIC 7-Speed Automatic 2.0L 4-Cylinder Turbocharged DOHC **Located at Gurley Leep Motorwerks on Grape Road**. 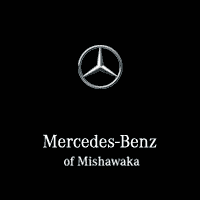 2018 Mercedes-Benz Metris Passenger RWD 7G-TRONIC 7-Speed Automatic 2.0L 4-Cylinder Turbocharged DOHC **Located at Gurley Leep Motorwerks on Grape Road**. 2019 Mercedes-Benz Sprinter 2500 Cargo 170 WB High Roof RWD 7G-TRONIC 7-Speed Automatic 3.0L V6 Turbodiesel **Located at Gurley Leep Motorwerks on Grape Road**.